Earn $64.99 in Rewards credit. Click to learn more. 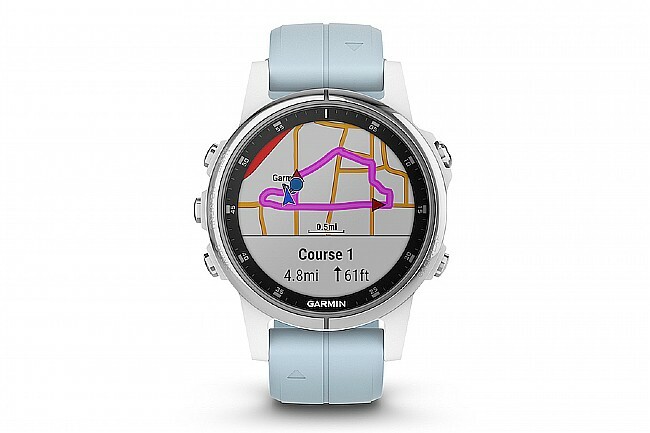 The Fenix 5s Plus Glass GPS Watch from Garmin is a stylish smartwatch with a 1.2-inch sunlight-readable display and stainless steel bezel, buttons, and casing. 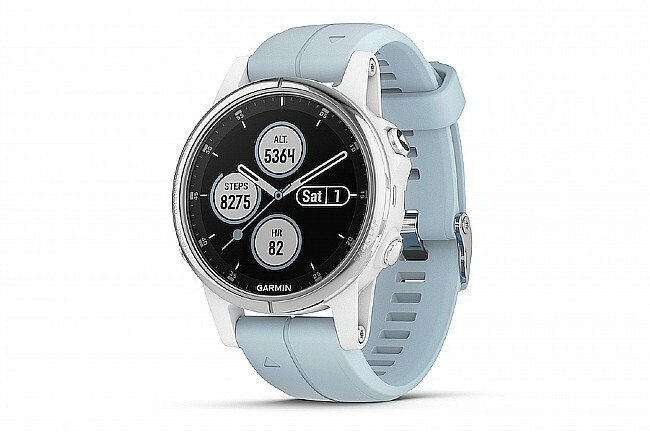 This smaller-sized watch is packed with technology that enhances exercise and adventure -- like wrist-based heart rate, color TOPO with Trendline™ popularity routing, and navigation sensors -- as well as everyday living with features like Garmin Pay™, customizable smart notifications, and Bluetooth® for wireless enjoyment of music stored directly on the watch (up to 500 songs). The Fenix 5s Plus Glass GPS Watch come with a charging/data cable and documentation. Numerous physiological metrics & activity profiles. Garmin Pay™ - contactless payment. Smart features: Connect IQ™, text & call alerts, calendar, weather, music storage, smartphone music control. Navigation sensors: three-axis compass, gyroscope, accelerometer, barometric altimeter, thermometer, GPS, GLONASS, and Galileo. Activity tracking: steps & floors, sleep, calories, intensity minutes, TrueUp™, Move IQ™, Fitness Age, Stress Tracking. Compatible with iPhone® and Android™.